The National Merit Scholarship Program has named 31 members of the Class of 2019 as Semifinalists and 28 as Commended Scholars based on each student’s 2017 PSAT/NMSQT scores. This year, of the more than 1.6 million student entrants nationwide, only 16,000 were selected as semifinalists, of which only 1,406 were from Texas. Congratulations to the following seniors named Semifinalists: Shreyas M. Annaswamy, Rhys Arana, John E. Burton, Noah K. Carr, Connor D. Cheetham, Andrew D. Crowe, Kristof Z. Csaky, Parker Davis, Sahit V. Dendekuri, Owen G. Ditore, Ruoming Fan, Nathan S. Han, Chase E. Honaker, William Hunt , Joshua Kang, Duncan W. Kirstein, Mujin Kwun, Dylan K. Liu, Albert Y. Luo, Jack B. McCabe, Daniel M. Mirochna, Robert D. Newman, Connor Pierce, Richard Z. Shen, Lee J. Simon, William M. Smith, David G. Vallejo, Max Wang, Mark L. Weisberg, Seth A. Weprin, and Matthew Y. Zhang. 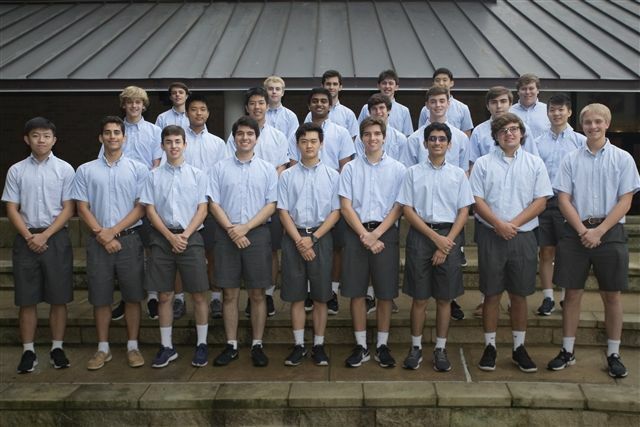 Congratulations to the following seniors named Commended Scholars: Cole W. Arnett, Alexander C. Baker, Keeton Brewster, Creston A. Brooks, Trevor D. Burke, Gabriel T. Castrillon, Matthew S. Coleman, Christopher Crawford, Cole P. Duffy, William C. Haga, Charlie Hubbard, Jayan S. Joshi, Thomas R. Jurcak, Michael J. Lukowicz, Kamal Mamdani, William A. Nadalini, Lyle C. Ochs, Harrison B. Pancerz, Jason Peng, Matthew Pollock, Samir Ratakonda, Ayush Saha, James W. Sears, Mark S. Tao, Alexander W. Tate, Simon S. Unglaub, Nicholas J. Walsh, and John Landon Wood.